Avocados can be cultivated only in tropical or Mediterranean climates and sometimes in more temperate climates like California. Avocados aren’t your typical fruit. Their flavor isn’t sweet or their texture crisp. Instead, avocados have a smooth, creamy, and rich texture due to the presence of fat — which is also absent from most fruit varieties. Because of this, avocados have a unique place in your diet. Most of the calories you consume with avocados come from the polyunsaturated omega-3 fatty acids and monounsaturated fatty acids (oleic acid, the same fat found in olive oil) within. These fatty acids act to lower bad (LDL) cholesterol and raise good (HDL) cholesterol. 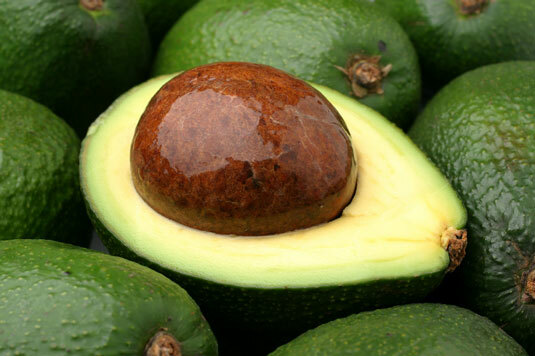 The remaining calories in avocados come from heart-healthy and cancer-fighting fiber. Because they are rich in fat, they are calorie- and nutrient-dense. Just 1 ounce (or about one-fifth of a medium avocado) gives you about 50 calories, 5 grams of fat, 3 grams of fiber, and dozens of vitamins, minerals, and phytonutrients like potassium, B vitamins, vitamin C, vitamin E, and lutein, an antioxidant that protects eye health and prevents macular degeneration. 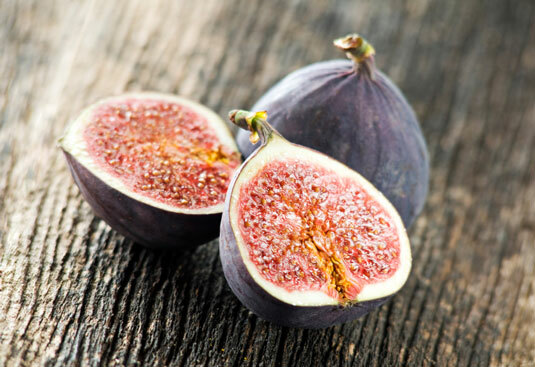 Not only are figs traditional in Mediterranean cuisine, but they are in ever-increasing demand around the world. Figs are often dried or preserved in jams, because fresh figs are very delicate and don’t last long at room temperature. These are also the reasons that figs don’t travel well. Because they are so perishable, if you buy them fresh, keep them refrigerated and eat them within a couple of days. Figs, whether fresh or dried, can be a sweet addition to any diet; they also add Mediterranean flair to dishes. You may only recognize the term mandarin from canned mandarin oranges, but chances are you’ve also consumed a mandarin in its fresh form, too. Mandarins are a great food to eat solo. 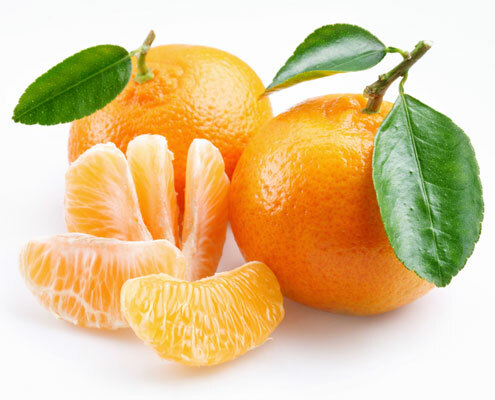 Just one small mandarin orange has 37 calories and can contain 30 percent of your vitamin C and 10 percent of your vitamin A needs for the day! Seedless varieties are a great way to get your child to eat fruit, because they’re fun and easy to eat. You can also try slicing them up into salads, stir fries, yogurts, and desserts, or including them as part of a marinade or a stuffing for poultry dishes. The Mediterranean cultivates about 95 percent of the world’s olives, which are eaten as a fruit or pressed for their oil. Because of their heart-healthy fat content, olives, like avocados, don’t have the sweet flavor you’d expect from something called a fruit. Green olives are picked before they’re ripe and, therefore, have a more bitter flavor than the brown or black olives, which stay on the tree longer, do. Raw olives also must be cured in brine before being eaten, and this can give them a salty flavor. 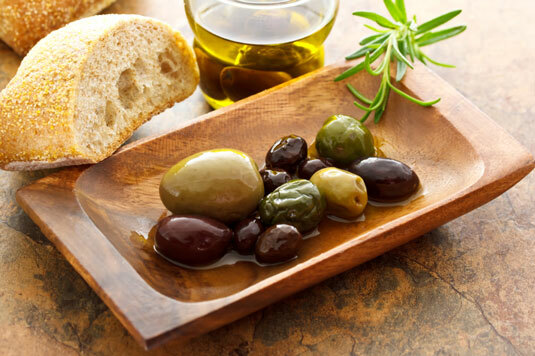 Traditionally, olives are served on the table in olive oil before a meal, added as a garnish to cocktails, stuffed with cheese, sliced atop pizzas and salads, cooked with fish, and so on. If you’re adding olives to a hot dish, toss them in at the last minute. Exposure to heat makes them even more bitter. Store opened jars of olives in your refrigerator and follow the Use By date on the jar for freshness. Although pomegranates are native to Persia and heralded as the oldest known edible fruit, pomegranate trees have been cultivated by many Mediterranean countries and grown commercially throughout the world. 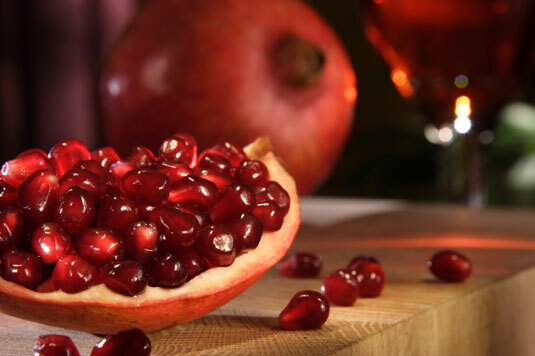 In the past several years, pomegranates have been touted as super foods in America and for good reason. Pomegranates are rich in polyphenols called punicalagins, which are powerful antioxidants that can reduce cholesterol and blood pressure as well as improve arterial health. Eating a pomegranate may seem intimidating, not to mention messy. After all, only the juice and seeds inside the tough outer layer are edible. But their delicious taste and health benefits are well worth it. Pomegranate juice adds a natural red food coloring to beverages, and the seeds can make a wonderful addition to salads, sprinkled over desserts, or served with olives (thus pairing sweet and salty flavors).